More weight results in a greater calorie burn. Not all workouts are equal when it comes to the number of calories you burn. Exercise burns different amounts of calories depending on the type, intensity and length of the workout. But your own body is also a factor. How many calories you burn from exercise is largely influenced by how much you weigh. The more you weigh, the more energy it takes your body to function. 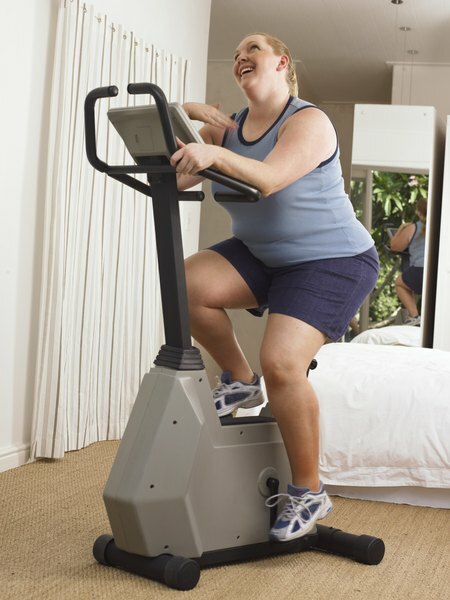 This means that a heavier person will burn more calories doing the same activities as a lighter person. This applies both when you are at rest and when you are performing physical activities. It also applies to people who are overweight, as well as to individuals with higher muscle mass. An hour of high-impact aerobics burns 420 for a person weighing 125 pounds, but it will burn 504 calories for someone who weighs 150 pounds. A person who weighs 200 pounds, on the other hand, burns 672 calories from an hour of high-impact aerobics. An hour of playing basketball can burn 216 calories if you weigh 125 pounds, but if you weigh 150 pounds you'll burn 576 calories. At 200 pounds this same activity can shed 768 calories. If you are trying to lose weight, you might find that your weight loss slows down over time. Part of the reason for this is that as you lose weight your body uses fewer and fewer calories to perform the same activities. In short, this means that losing weight often makes it more difficult to lose more weight. To overcome this problem you'll likely need to shake up your workout routine. 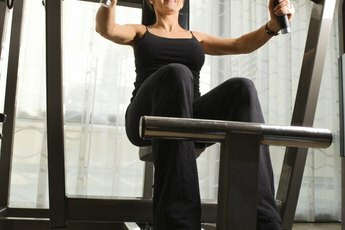 The most basic way of increasing the number of calories that you burn is to increase the intensity of your activities. For example, if you weighed 240 pounds, then an hour of running at a pace of 5 miles per hour would burn 905 calories but if you lose 40 pounds it will only burn 755 calories. But you can increase the pace to 8 miles per hour and burn 1,074 calories in an hour. You can also add strength training to your routine to build muscle mass. This will slow your weight loss while reducing your body fat percentage, allowing you to get fitter while continuing to burn calories at a high level. University of Rochester Medical Center: Calorie Burn Rate Calculator - Your Reported Weight - 125 lbs. University of Rochester Medical Center: Calorie Burn Rate Calculator - Your Reported Weight - 150 lbs. University of Rochester Medical Center: Calorie Burn Rate Calculator - Your Reported Weight - 200 lbs.